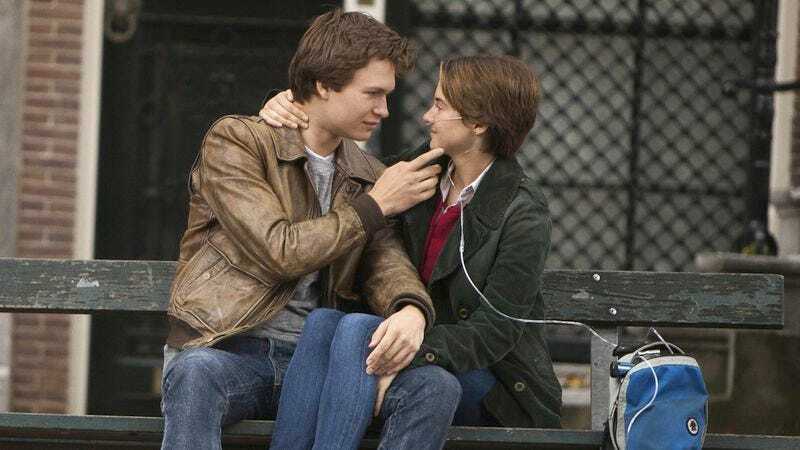 Under the spell of that most romantic of ailments—cancer—audiences were magnetically drawn to The Fault In Our Stars this weekend, giving it a first-place finish of $48 million, all of them sopping wet. As Buzzfeed noted, its success reverses the recent downward trend for dramas, which had been adorably wasting away for the past decade or more. Though of course, it also helps that Fault In Our Stars has a huge, built-in fanbase thanks to the popularity of John Green’s young-adult novel, and—while their passion for teenagers doomed by disease doesn’t quite match their passion for teenagers doomed by dystopian societies—they still swarmed theaters on Thursday night and Friday, anxious to be swept off their feet all over again by terminal illness. Fault has already more than made back its $12 million budget, and it now seems destined to join the cinematic pantheon of cancer romances (or rom-cancers) that stretches all the way back to 1970’s Love Story and, of course, the classic MGM musical, Cancer Cuties Of 1946. Meanwhile, the promise of getting to see Tom Cruise die multiple times was not enough to boost Edge Of Tomorrow beyond third place, after audiences determined that none of those deaths were from cancer. Instead they were from decidedly unsexy war with aliens—a premise that, despite the film’s unique spin on it, has been trapped in its own inescapably repetitive loop at the box office, usually also featuring Tom Cruise. Those who ignored the feeling that they’d just lived through this turned out to give Edge its modest $29.1 million opening, which is just shy of the debut for last year’s Elysium and its similar robotic exoskeleton aesthetic. Still, Edge had a huge debut in China at $25 million—the biggest ever for a Tom Cruise movie—and strong openings in Korea and Russia. Ultimately, it seems destined to do better overseas, in foreign markets ready to shed their own empathetic tears for men being crushed by cold machinery.